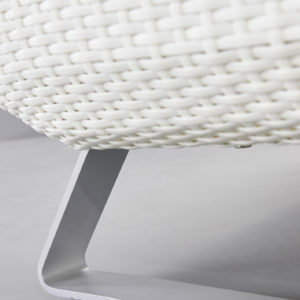 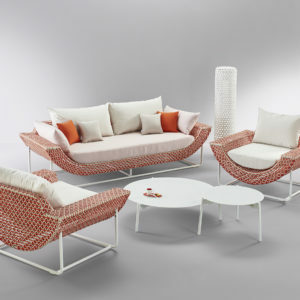 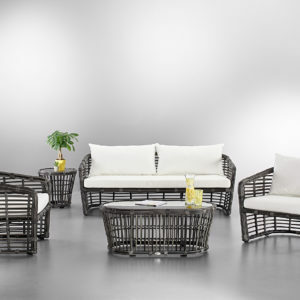 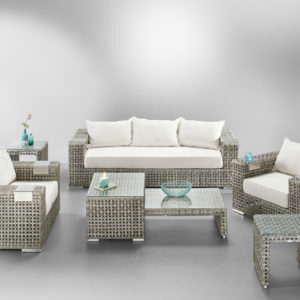 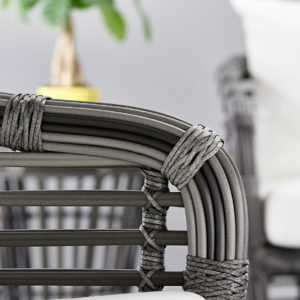 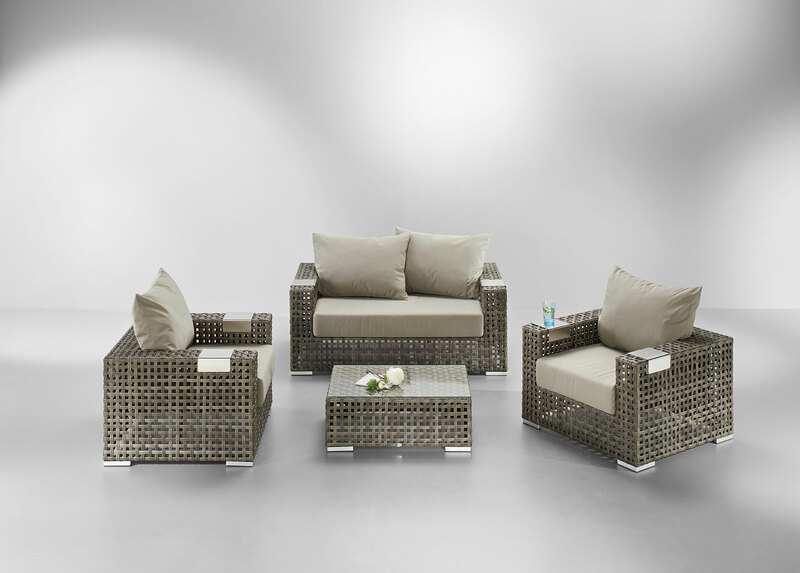 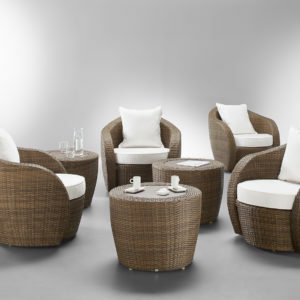 Garden lounge set, Wintech flat dyed in the mass resin wicker, available in two colors, aluminum structure. 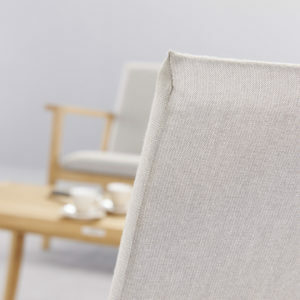 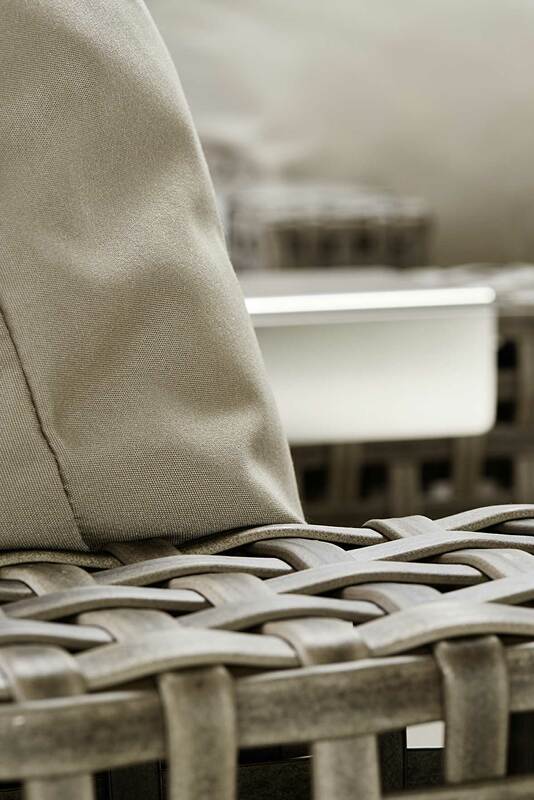 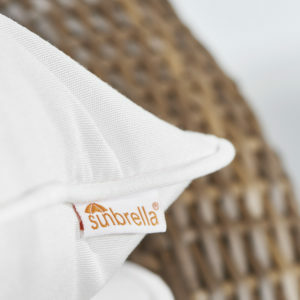 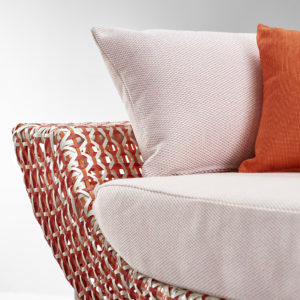 Sunbrella® fabric choice for seating and cushions. 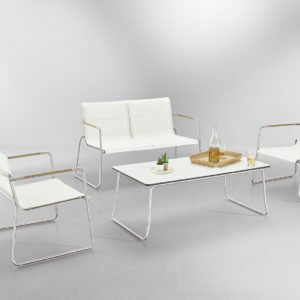 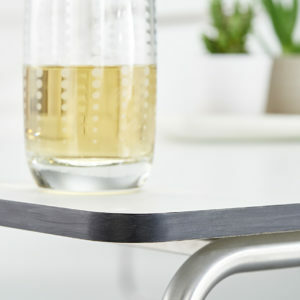 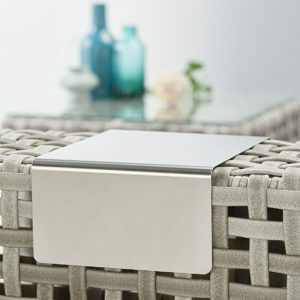 Sits 304 stainless steel glasses on the armrests and safety glass for the tables. 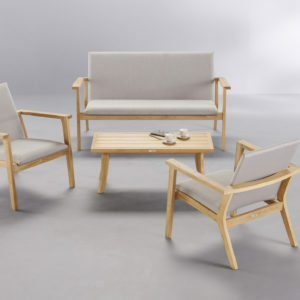 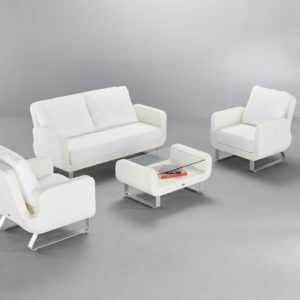 Comprising a two-seater sofa, two armchairs and a coffee table with glass top.